Many respondents, particularly on the buy-side, instead highlighted the proven benefits that periodic auctions can provide investors with, including their ability to show natural liquidity, reducing costs and helping firms achieve best execution required under Europe’s MiFID II regulation. 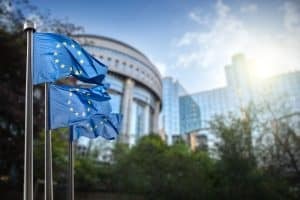 The European Securities and Markets Authority (ESMA) has carried out extensive research into the operation of periodic auctions, following a surge in volumes after the introduction of MiFID II and then the double volume caps (DVCs) last year. European regulators have shared concerns that some periodic auction systems have been designed with intention to circumvent the DVCs. Alongside this, ESMA highlighted issues around self-matching, transparency, auction duration and price determination. In response to ESMA’s concerns that the industry is using periodic auctions to avoid MiFID II’s DVCs, participants including the Investment Association, Cboe Europe and Plato Partnership referenced research carried out by the UK’s Financial Conduct Authority (FCA) in June last year. The research concluded that there is very little difference between the increase in periodic auction volume pre-MiFID II for shares subject to the DVCs, compared to shares where dark trading is still allowed, suggesting the growth in periodic auctions has not been driven solely by MiFID II’s dark trading requirements. Plato Partnership stated that it believes the growth in auctions has been driven by the execution venue’s ability to provide greater price protection, alongside low toxicity of liquidity and reducing speed advantages some market participants may have, which is an important element for many periodic auction users. 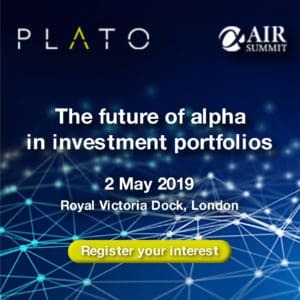 “We have witnessed a race for speed over the last 10 years in European equity trading that has provided a speed advantage to those that have a technology advantage and has caused concerns around toxicity of lit exchanges,” Plato said within its response. Similarly, BlackRock, the world’s largest asset manager, told ESMA in its reply that periodic auctions can improve execution performance while reducing costs, which helps firms seeking to comply with MiFID II’s best execution requirements. UBS, ITG and Cboe Europe made similar judgements on the positive impact periodic auctions have had on best execution compliance, challenging the theory that MiFID II’s DVCs have been the main driver of growth. “We believe that periodic auctions have gained market share in recent years because they are additive to the equity market eco-system’s liquidity and help achieve better execution; smart order routers access periodic auctions when seeking liquidity and this can enhance execution performance beyond only executing on a central limit order book alone,” BlackRock said in its response. Referencing concerns around self-matching and broker-preferencing, many industry respondents were quick to stress that volumes of self-matching activity on periodic auctions are extremely low, and should not be a major concern to the EU regulator. Others stated that self-matching on all execution venues is, in fact, an important part of the trading ecosystem. 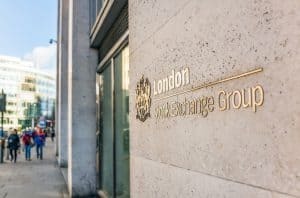 The London Stock Exchange Group (LSEG) echoed the point raised by The Investment Association, and other market participants such as Nasdaq, that should ESMA restrict self-matching on periodic auctions, it should do the same for other venues that allow similar activity. The exchange operator added that auctions are still in the adoption phase, and so driving participation with an active pipeline of players looking to join will see an even lower level of self-matching taking place on auctions. “We note that ESMA seem comfortable with self-matching on order books and order priority functionality that seeks to increase the possibility of self-matching based on long-standing functionality of certain Central Limit Order Books or other trading systems, and it is unclear why there is therefore extensive focus on frequent batch auction mechanisms in this regard,” LSEG said. In the past year, periodic auction operators have attempted to dampen concerns on self-matching with statistics reflecting the majority of flow is in fact reflective of natural liquidity. LSEG’s Turquoise told The TRADE in July that broker priority allocations on its auction could be as low as 0.006%. Agency broker ITG also stressed that broker-preferencing allows more execution to take place in centralised and transparent markets, and that this is the case for auctions and other types of execution venues. ITG’s response also warned ESMA that regulatory steps taken to restrict self-matching on periodic auctions could be damaging to market structure. 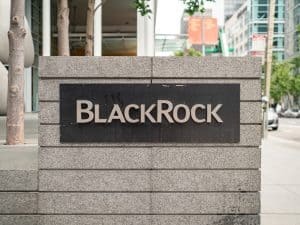 On the buy-side, BlackRock stated in its response that the low levels of broker self-matching were of no particular concern to the asset management giant, and that to improve transparency on periodic auctions, it would like to be able to identify self-matched trades on the venues via a European consolidated tape. “We think it is unbalanced to describe self-matching on exchanges as ‘an efficient way of internalising order flow by lowering the cost of execution for final clients’, yet to interpret self-matching in periodic auctions as prohibited cross trades. We recommend equal treatment and a level playing field, whether self-matching occurs on an exchange or elsewhere,” BlackRock added. Significant regulatory intervention, or an all-out ban on periodic auction systems, is not a popular option for most of the market participants that provided responses to ESMA’s call for evidence. 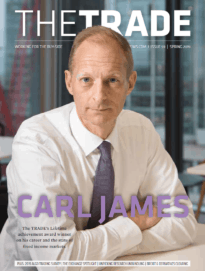 Instead, the industry has urged caution with regards to the next steps, as many predict restrictions on auctions could see trading migrate to less transparent execution venues or dark pools. Many suggested that perhaps ESMA should be investigating other issues around MiFID II, such as the introduction of a consolidated tape, the impact of the DVCs, or the rise of systematic internalisers. The Investment Association warned that adding further regulatory hurdles by restricting periodic auctions also defends existing incumbents, but does not serve the interests of end-clients in Europe. “Our members do not support specific stricter requirements on frequent batch auctions. A punitive regulatory approach to new market developments inhibits evolution which ultimately benefits end clients,” the Investment Association said. Interestingly, Cboe Europe advised ESMA that some complaints about the operation of periodic auctions could be ‘commercially driven’, rather than genuine concerns raised by those who actively use the systems. The exchange operator, and several other respondents, urged ESMA to carefully consider the responses of those who do in fact use periodic auctions. The industry will have to wait to see what steps ESMA decides to take in regards to periodic auctions, but consensus clearly leans towards little or no regulatory intervention. Many responses were also quick to point out that there is not enough data to make any concrete judgement on the regulatory concerns with auction systems, suggesting it could simply be too soon for ESMA for intervene.